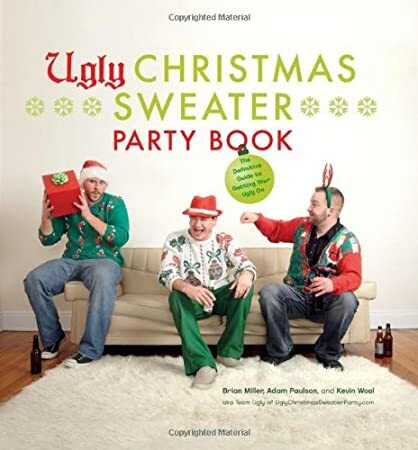 Looking for some Ugly Christmas Sweater Party Ideas for this year’s party? Those outrageously funny parties just get more popular all the time. It’s no wonder why. You get to wear a tacky Christmas sweater and have fun doing it. 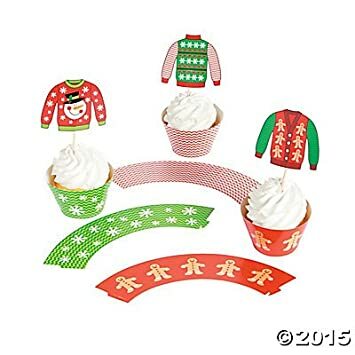 Today there are all sorts of ugly Christmas sweater party ideas for hilarious ugly Christmas sweater games, food to serve, ugly Christmas sweater party decorations and of course, the party supplies to go with it all. An ugly Christmas Sweater party is a great choice for the annual office Christmas party. 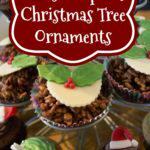 With a little tweaking, you can have a fundraising party or a school Christmas party. Let’s have fun with some ugly Christmas sweater party ideas for your holiday season. 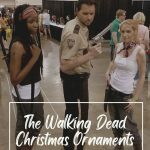 Let’s Have An Ugly Christmas Sweater Party! 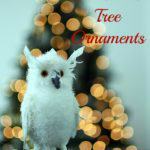 to raise money or donations for the local food bank, animal shelter, or homeless shelter. and the best reason of all to have an Ugly Christmas sweater party is just for fun! Choose a date and time appropriate for your party, considering office, home or school as your setting. It should be at least a couple of weeks before Christmas to make sure folks are still in town for the party. 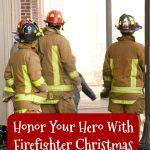 Lots of folks travel at Christmas, so do take that into consideration. When you’re thinking of where to have your party, consider how many people will be there. 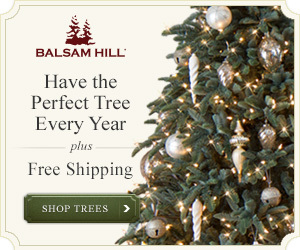 Are you planning to have a decorated Christmas tree at the party? Tables? A buffet? You’ll need a place with space enough for all that so everyone can move around comfortably. 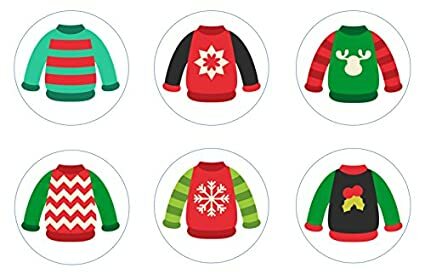 Your home or a friend’s home works just fine for smaller Ugly Christmas sweater parties of 10-20 people because they make everyone enjoy the cozy holiday atmosphere. recreation centers sometimes have meeting rooms that they will rent for a fee. Check with your city or county to see if they have that available. churches will also sometimes rent out meeting rooms, too. They may charge a fee, but wouldn’t it be nice to make a donation too? for day time parties, check with your local craft stores, coffee shops and book stores to see if they have rooms or an area you can reserve for your party. When you have all that squared away, you’re ready to send out your ugly Christmas sweater party invitations. 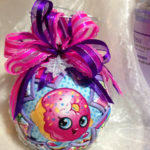 Time them to arrive a week or two before the party, depending on your group. 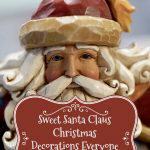 Christmas postage stamps add Christmas cheer to your invitation envelopes! 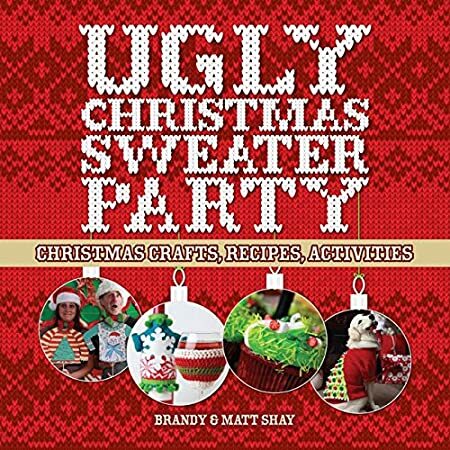 Here’s another idea for turning up the fun at your Ugly Christmas Sweater Party! 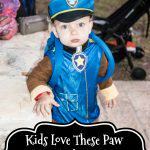 Why not set up a photo booth at your party? 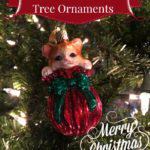 What an adorable way to create fun party photos at your Christmas holiday party! Photo booths are all the rage for parties and I can just imagine the laughter when taking pictures at an Ugly Christmas Sweater party! 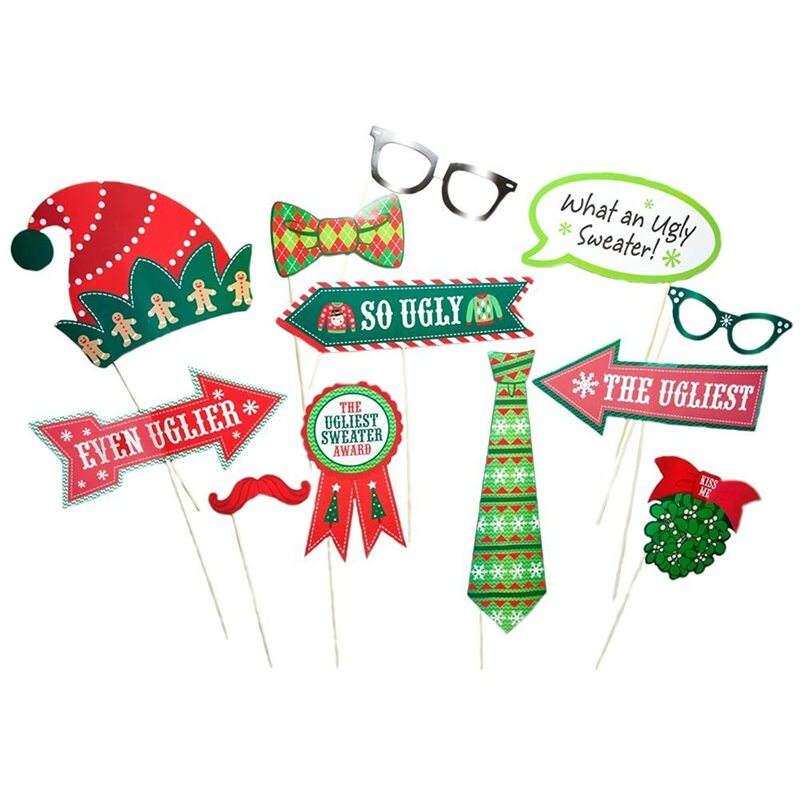 This Ugly Christmas Sweater Party photo booth kit comes with 20 props. One of these props is personalized and ready to be assembled. There are also some wooden dowels included to add to the props and clear stickers to use to attach them with! 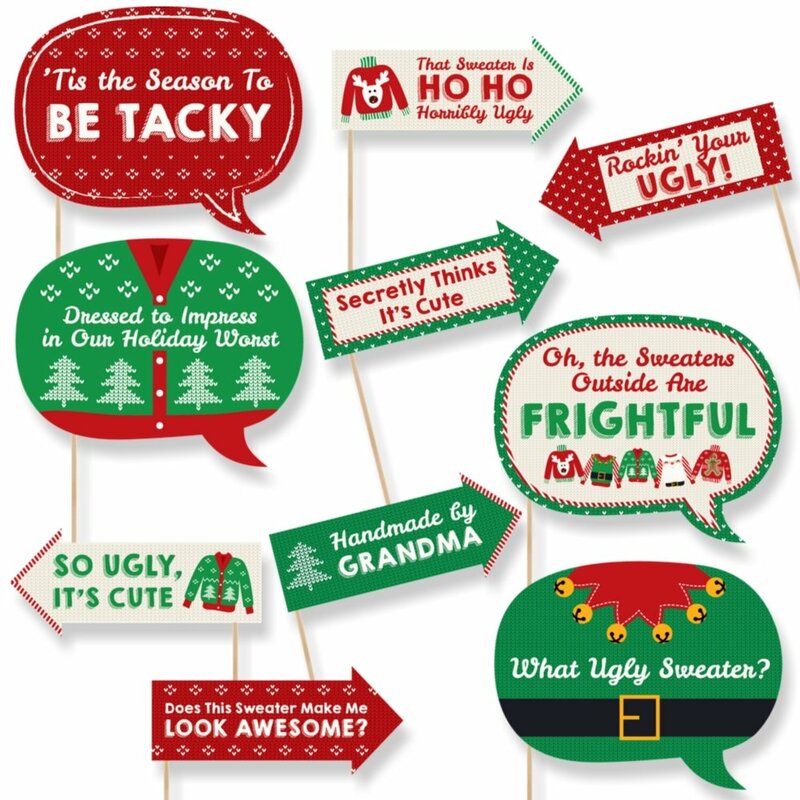 Set up a display next to a fun photo booth backdrop and your Ugly Christmas Sweater Party photo booth is in business. 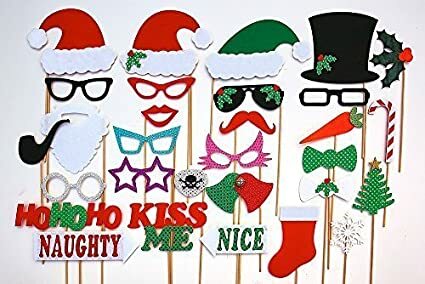 Your Ugly Christmas Sweater Party guests will love all the mustaches, bowties, lips, glasses, hats and talk bubbles! Of course, you have to have an ugly Christmas sweater contest, right? Make sure the prize will motivate people to wear great ugly sweaters. Remember that you can have all sorts of ugly Christmas sweater party games, too. 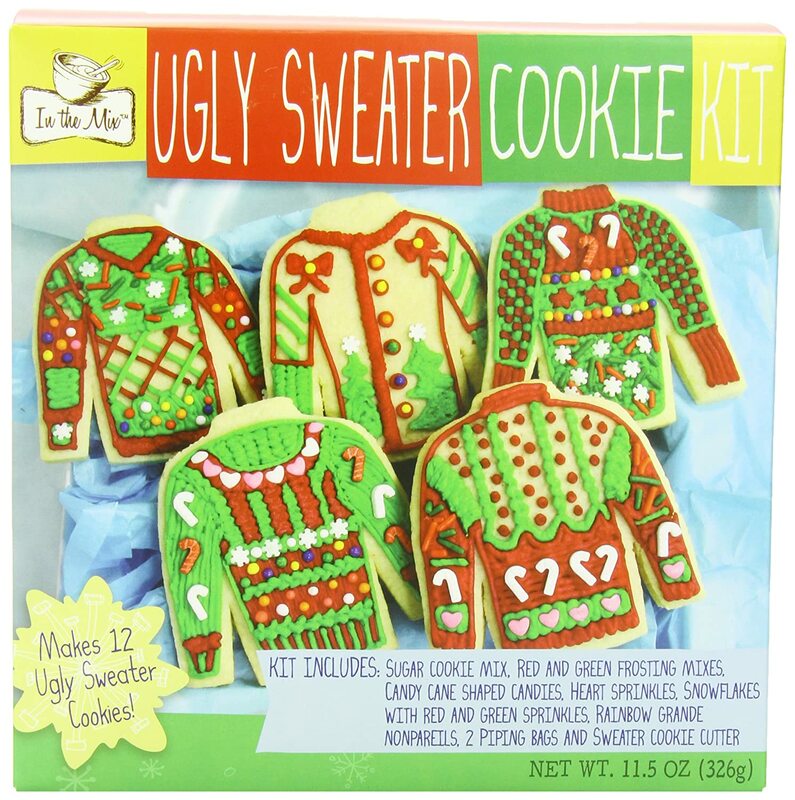 Don’t Forget The Ugly Sweater Party Goodies! 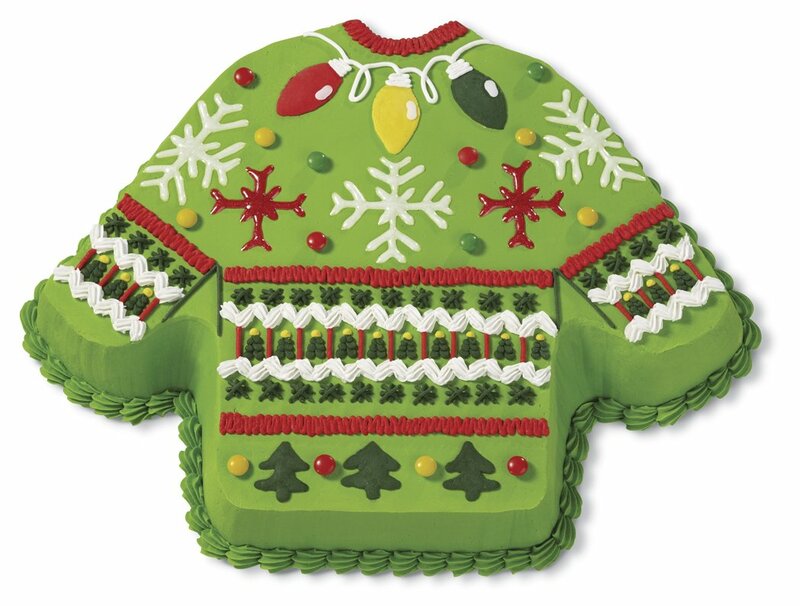 Your ugly sweater party will be the talk of the office break room for a long time to come when you serve up memorably dressed ugly sweater cookies, cupcakes or even a cake! Besides being delicious, your party treats will have everyone at your party grinning from ear to ear at the adorable decorations. 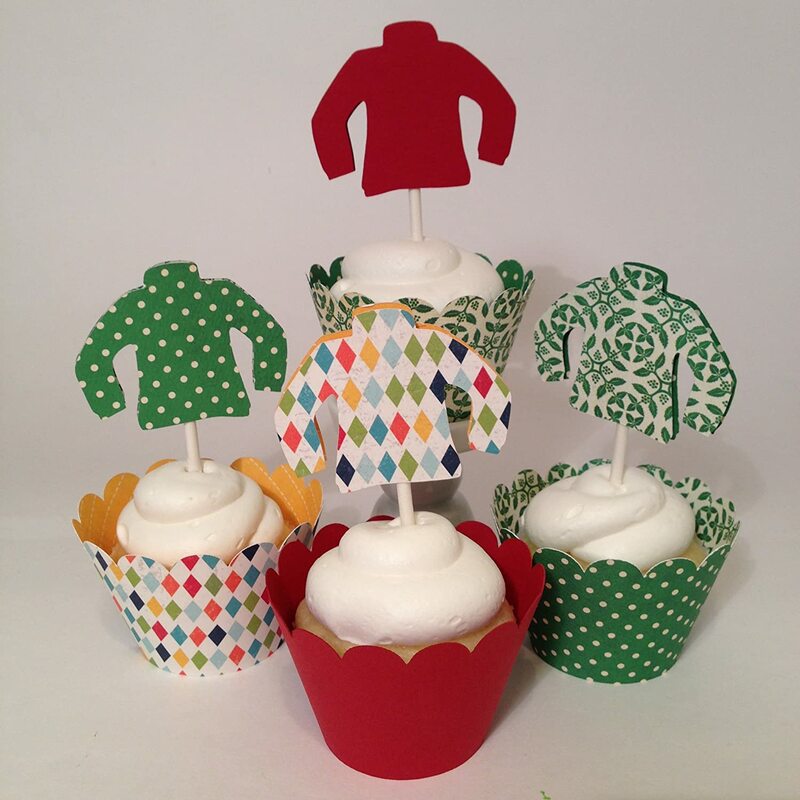 Oh what fun it is to …whip up a whole bunch of delicious ugly sweater party cupcakes, cookies and/or a cake! Your ugly Christmas sweater party is about more than just the ugly Christmas sweaters… It’s about having a wonderful time with people you love and creating memories that last a lifetime. Have a wonderful time & Merry Christmas!